The ousting of Mirek Topolánek is raising questions regarding a series of high-profile international meetings in Prague, as the Czech prime minister-in-resignation will still be the EU's official chair when the summits take place in early May. 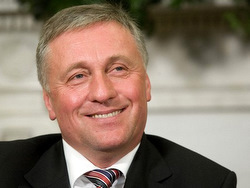 Analysts said the Czech EU presidency had "de facto ended" after Topolánek's government lost a no-confidence vote in the Czech parliament on 24 March. "I am convinced, unfortunately, that by voting no confidence in the Czech government, the Czech [EU] Presidency has de facto ended," said UniCredit Bank analyst Pave Sobisek, quoted by the Czech press. At the same time, Topolánek accused France and the Western press of conveying the message that a small country such as the Czech Republic is unable to steer the EU. "We persuaded everyone that a small or medium-sized country is able to steer the EU. And now, suddenly, everybody says the small countries can't do this, and that it is up to the big daddy to supervise things. Such an opinion is absolutely obvious in all statements, for instance from France, [and] from all commentaries in Western papers," said Topolánek, speaking to Dnes, a Czech daily. Topolánek will have to chair three EU summits in just two days. An employment summit on the morning of 7 May has been downgraded from a fully-fledged summit of the 27 EU countries' heads of state and government to an 'EU Troika', where only the Czech Republic and the next presidencies - Sweden and Spain - will be represented. The current "trio of presidencies" comprises France, the Czech Republic and Sweden. They presented their joint 18-month programme in June 2008. Initially, the EU was due to hold an employment summit on 7 May in Prague to assess the success of the recovery package and to identify additional innovative ways of restructuring the Union's labour market for the future. But as the mood remains gloomy, the summit is expected to be low-key. The Eastern Partnership summit, on the afternoon of the same day, will gather all 27 heads of state and government. But it remains unclear who will represent some of the beneficiary countries, which include Ukraine, Moldova, Georgia, Armenia, Azerbaijan and Belarus. Moldova is in the middle of a political meltdown following a disputed poll, and its relations with EU country Romania are tense. Georgia's opposition is calling for the resignation of the country's president Mikheil Saakashvili. Ukraine is in political turmoil after the parliament in Kiev recently called for early presidential elections and no decision has been taken as to whether Belarusian President Aleksander Lukashenko, seen as Europe's last dictator, should attend the launch event. Azerbaijan, which recently de facto elected its ruler Ilham Aliev president for life , irked the EU by signing with Gazprom a memorandum for long-term supplies of Central Asian gas to Russia at market prices, further undermining the EU's favoured Nabucco pipeline. It is precisely the absence of the name Nabucco from the third gathering, the 8 May 'Southern Corridor – New Silk Road' summit, which raises further questions. In the face of German opposition, the name 'Nabucco' recently disappeared in similar circumstances from a list of projects to be financed by a five-billion euro EU stimulus plan, replaced by the term 'southern gas corridor'. Later, following pressure mainly from Poland , the name 'Nabucco' reappeared in the final document. Spokespersons explained that the absence of the name 'Nabucco' does not mean that the project is "not there". In the meantime, Turkey sent a letter to the EU countries participating in the project, pressing them to sign by June an intergovernmental commitment to build the pipeline. For its part, Gazprom is considering signing a series of papers regarding the rival South Stream pipeline at an energy forum in Sofia on 24 and 25 April. 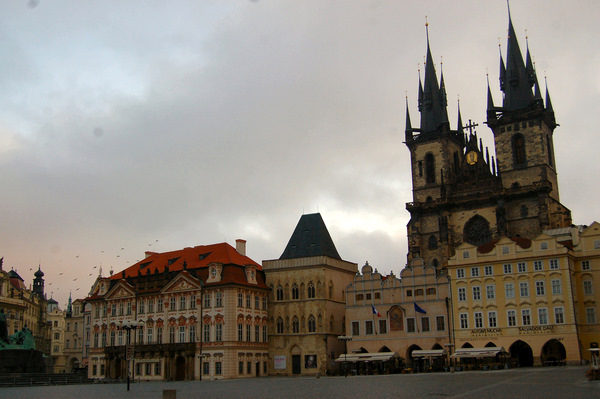 Three summits are to be held in Prague on 7 and 8 May. They will be the swansong of outgoing prime minister Mirek Topolánek, as the newly appointed prime minister Jan Fischer will take office on 9 May. The new cabinet will complete the six-month EU presidency (which ends on 30 June), and will stay in power only until a general election, which the parties agreed should be held on October 9-10, well before the scheduled election date in mid-2010. 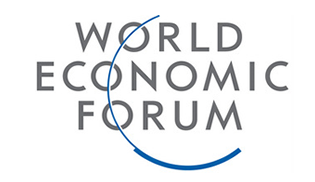 7 May – morning: Employment Summit Format: a social Troika, i.e. the Czech Presidency, Sweden and Spain, social partners and representatives of the business sector. 7 May – afternoon: Eastern Partnership Summit Format: a summit of the EU-27 at the level of Heads of State or Government and representatives of the Eastern Partnership countries. 8 May – “Southern Corridor – New Silk Road” summit Format: an EU Troika, i.e. the Czech Presidency, the European Commission and the General Secretariat of the Council with representatives of the Southern Corridor countries. The 18-19 June EU summit, when the Irish prime minister is expected to disclose his plans for calling a second Lisbon Treaty referendum, is expected to be chaired by the eurosceptic Czech President Václav Klaus.